Fuchsia OS is an operating system developed by Google. The OS has all the features to replace, in the long term, Chrome OS (the operating system of Chromebooks) and Android. Unlike Android, Fuchsia OS is not developed from a Linux kernel. The OS uses a kernel developed by Google (Zircon). Fuchsia OS is still under development, and looks very promising. The OS already has a storage system shared by several devices. This means that with your Google Account, you can find exactly the same user experience you have on your smartphone, when you switch to a computer, tablet, box or even a connected TV. 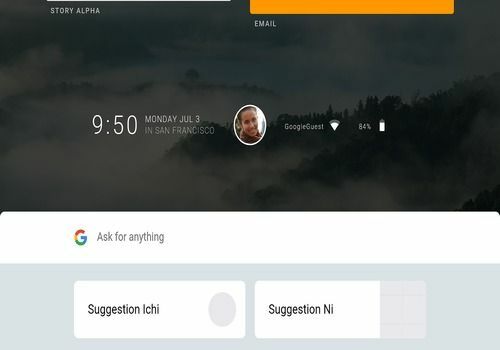 Note that to facilitate the transition from Android to Fuchsia OS, Google has chosen to make this new system compatible with Android applications. You will be able to install.apk files on your Fuchsia device. For the moment, Fuchsia OS is not yet available in alpha version. Notice to amateurs: its source code is available on Google Source. CyanogenMod Installer is an application from the eponymous editor that offers to guide you through the installation of an alternative ROM for your Android smartphone. It aims to make this manipulation accessible to as many people as possible. PrimeOS is a fork of the Androidx86 project to port the Android operating system to PCs.